You may use this package in any commercial or non commercial renders. You may not resell the files or include them in another product, CD or package. Please ask for permission for any other requirement or use you will want for this freebie. 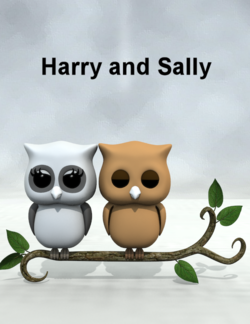 Two toon figures of owls sitting on a branch. Branch is included as a prop.